The Ubiquiti UniFi® UAP AC LITE Access Point is Ubiquiti’s latest UAP which brings dual band connectivity at that low Ubiquiti price. Dual band is now a feature on this new entry model and the latest in 802.11ac technology is included by default with a 2×2 3 dBI antenna configuration allowing up to 867Mbps on the 5Ghz band. The UAP AC Lite also has a smaller form factor – measuring only 15.5cm across as opposed to the previous 20cm. After the UniFi® Controller software is installed on a Linux, Mac or Windows computer (also available in a separate hardware box here) it can be accessed through any device using a standard web browser. 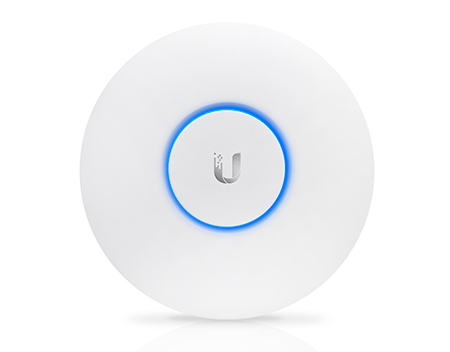 The Ubiquiti UniFi® Controller allows the administrator to instantly provision thousands of UniFi® Access Points, map out networks, quickly manage system traffic, and further provision individual Ubiquiti UniFi® devices.